Are the Patriots intentionally holding back? Tom Brady has the league running scared through his first four games back, and the Patriots offense looks unstoppable. But does that mean they've showed the rest of the league their whole bag of tricks? Not at all. 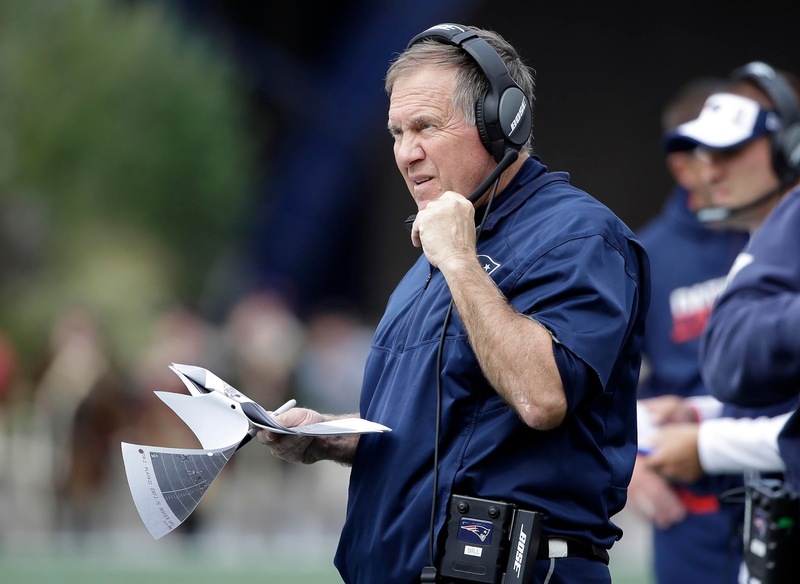 As Bill Belichick has often documented, it's prudent to save a trick up your sleeve for a crucial moment in the playoffs. He did it against the Ravens, lining up Shane Vereen as an ineligible receiver. Oh, yeah, I remember now--he also pulled out a double-pass TD from Julian Edelman to Danny Amendola to seal the game. So, secret trick plays aren't exactly out of the ordinary for New England. That being said, though, there might be more Bill Belichick is hiding this time around, and for good reason. The Patriots don't have a real challenger in the division, meaning they're free to workshop different ideas during the season and perfect them in the playoffs. After all, one loss here and there isn't going to dethrone them as AFC East Champs. Last year, for example, they experimented with shuffling O-line combinations, then scrapped it late in the season. This year, it's already clear to see. The team took the conservative tack on Dion Lewis and Rob Gronkowski, both of whom were returning from injuries, and hasn't displayed any new and exciting offensive formations or concepts, probably to save them for the playoffs. But now, the biggest experiment is just beginning. Thanks to that regular-season success, the Pats are perfectly comfortable giving rookies and backups playing time to see if they stick. And from here on out, rookie Elandon Roberts will be getting a whole lot more playing time. The Jamie Collins trade is a perfect example of this tinkering method. The Pats have just thrown a rookie into the fire, but they're also giving him time to adjust in low-pressure situations. When the games count, expect Roberts to be ready--and expect the team to show a couple tricks it had up its sleeve.